KUMO 1616 strikes the perfect balance of capacity and size. 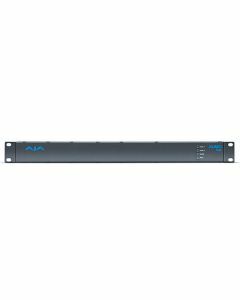 At just 1RU, KUMO 1616 fits into the smallest rack space while providing routing for 16 inputs and outputs at exceptionally high quality. Compact, robust and built for critical production environments, KUMO Compact SDI routers offer flexibility and quality that exceeds SMPTE specifications at an unprecedented price. KUMO SDI routers are available in three configurations: KUMO 3232 supports 32 3G SDI inputs and outputs, KUMO 1616 supports 16 3G SDI inputs and outputs and KUMO 1604 supporting 16 3G SDI inputs and 4 3G SDI outputs.